Thank you for joining us for the 2018 Annual MOTA Conference. 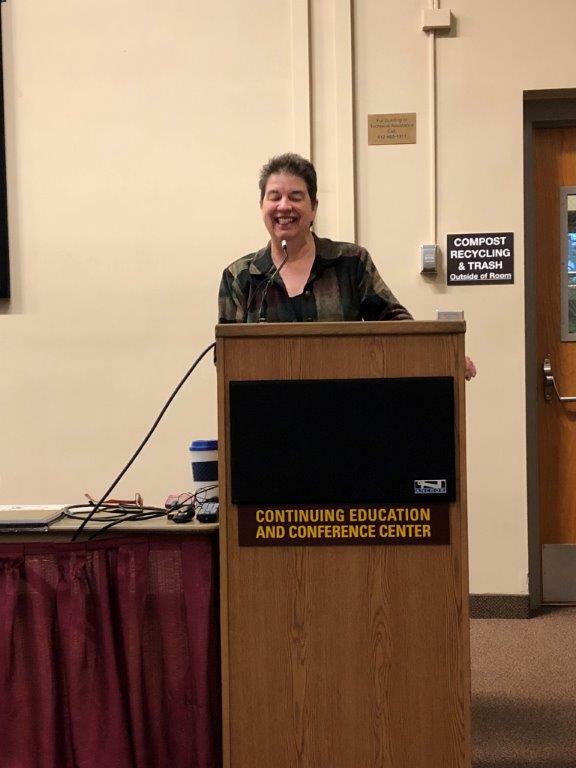 There were many highlights of the event including our keynote speaker, John Kriesel, our Communication Award speaker, Andrea Harrison and several excellent break out sessions. It was two fun filled days of learning and networking! Social Gathering with OT's providing the music!! We had many MOTA Award winners this year! 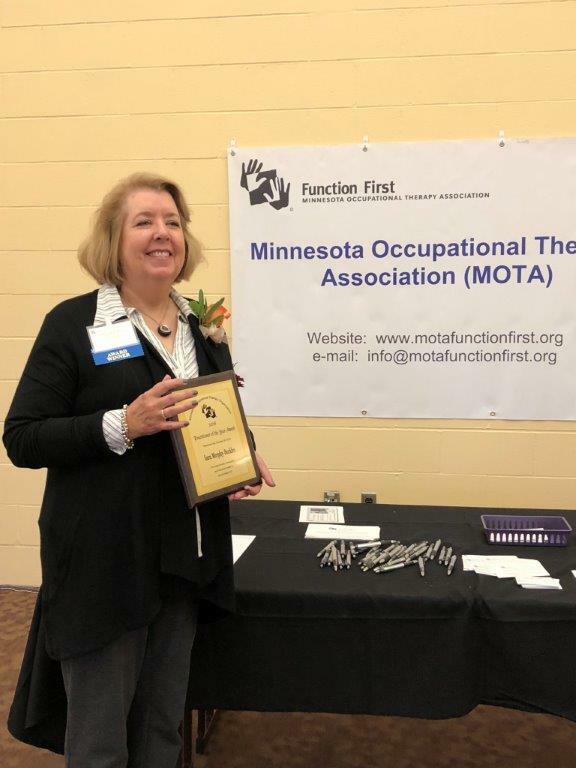 Thank you to Diane Anderson, MOTA Award Committee Chair for her organization of this event. 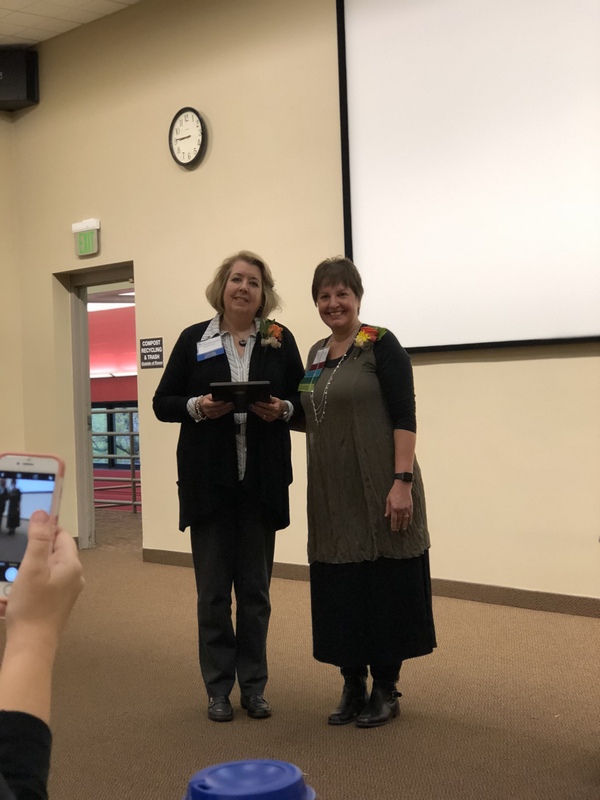 Gretchen Prohofsky received the lifetime achievement award for the dedication to help patients who are struggling with mental illness with innovative and compassionate care. Gretchen received multiple nominations for this award. 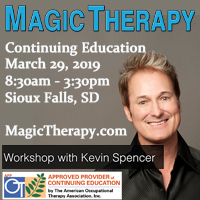 She was obviously admired by friends and colleagues within and outside of the Occupational Therapy profession. Gretchen's husband received the award on her behalf. 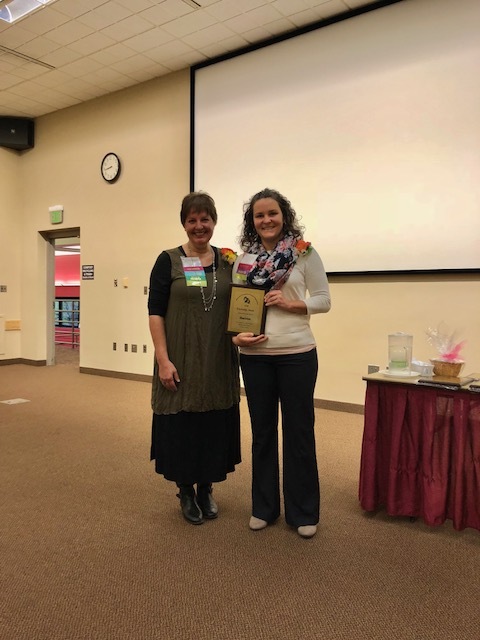 Sarah Murphy-Buckles, OT Practitioner of the Year for her strong advocacy and influence as a pediatric school-based occupational therapist. 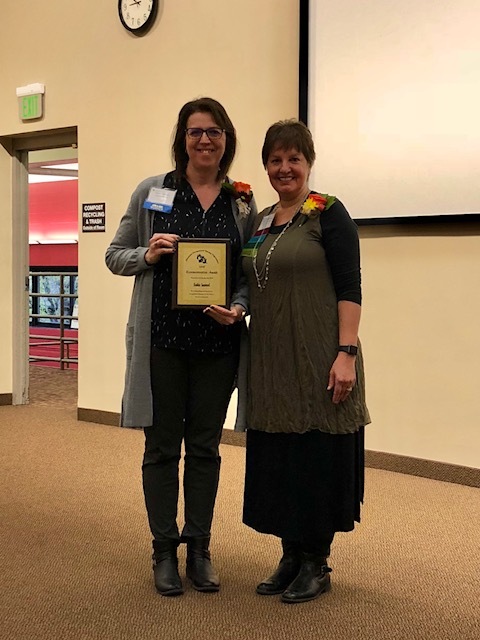 Kris Wilson received OT Practitioner of the Year for her work in standardizing clinical best practice care of NICU infants across the five metro hospitals. 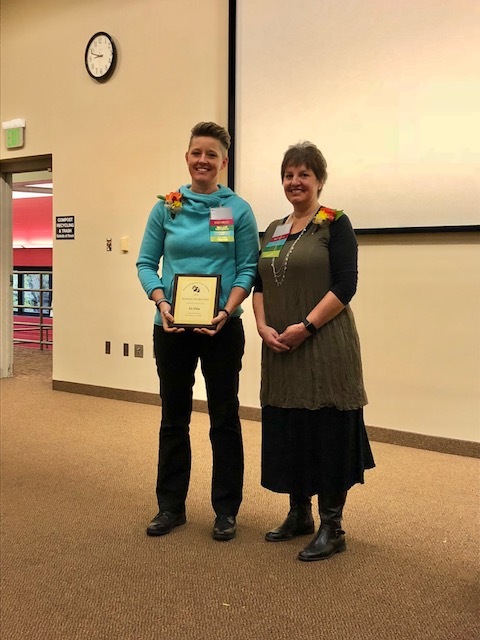 Robin Samuel received the Communication Award for outstanding contributions to Occupational Therapy for her work in the ALS community and writing a chapter on the role of rehab in the book "Clinical Handbook on Neuromuscular Medicine." 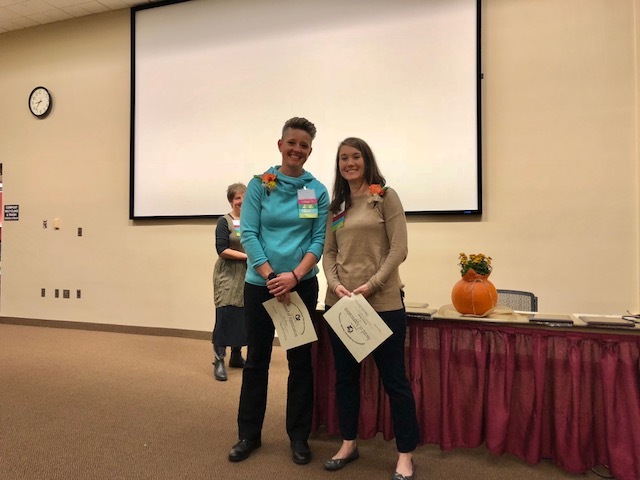 The MOTA Conference Co-chairs, Kris Wilson and Katelyn Brady received a MOTA Service Award for leading the 2018 Annual MOTA Conference. They did an exceptional job to make the conference successful.